Local foods, and particularly street foods, connect us deeply with the places we live. Often consisting of humble ingredients and prepared in an efficient manner, they straddle a line between convenience and fine dining, often relying on a powerful punch of flavor from a key ingredient or special condiment for authenticity, and delivered in an easy to enjoy, convenient meal. 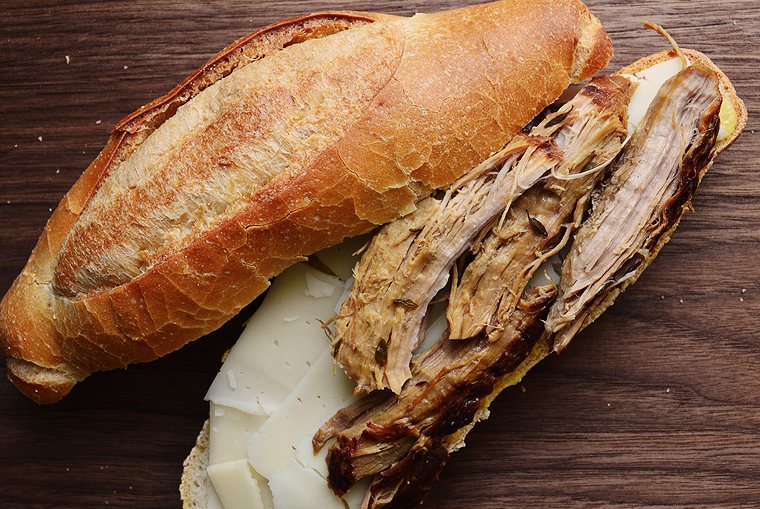 Cuban sandwiches aren’t something I grew up with; my husband, on the other hand, spent summer vacations in Florida as a child and enjoys Latin, and Cuban foods, and was shocked when I told him I didn’t know what a Cuban sandwich was. 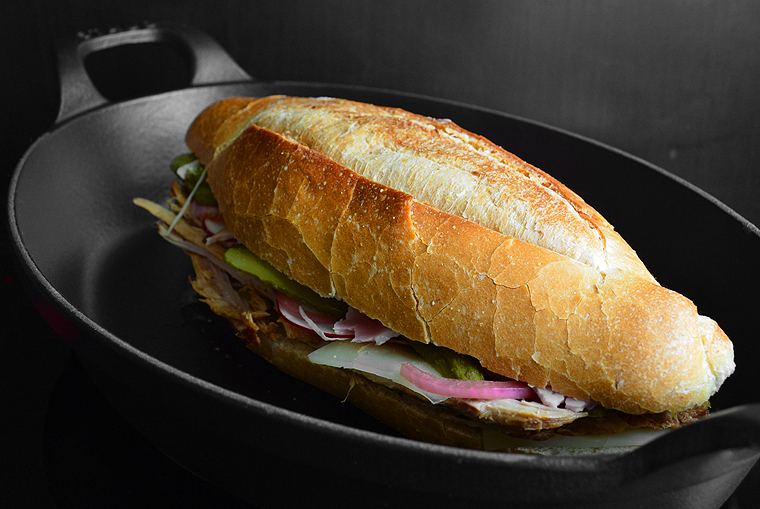 Originating in the 1880’s, the sandwich was a variation of a ham and cheese, originally known as a “Cuban pressed” or a “Cuban mix” and was offered in cafes that catered to cigar workers in both in Havana as well as in Key West. 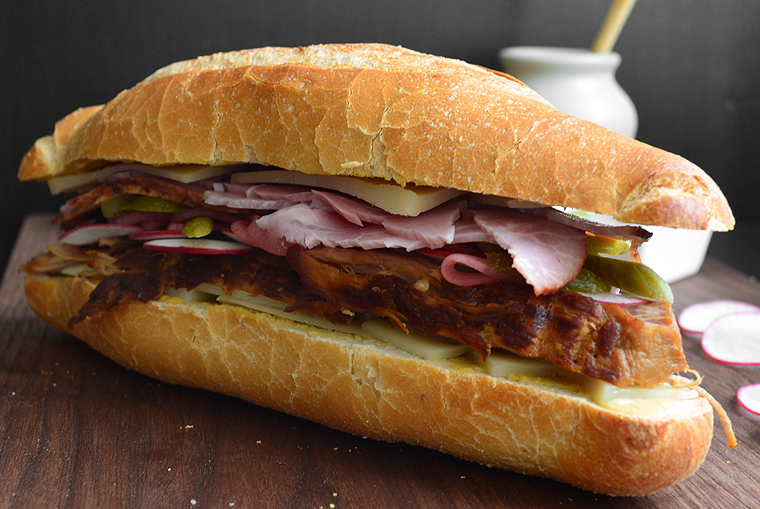 A classic combination of ham, Swiss cheese, and mustard with the addition of roast pork, pickles, and sometimes salami on either Cuban or French bread, the flavors struck me as a natural if not particularly Latin combination. 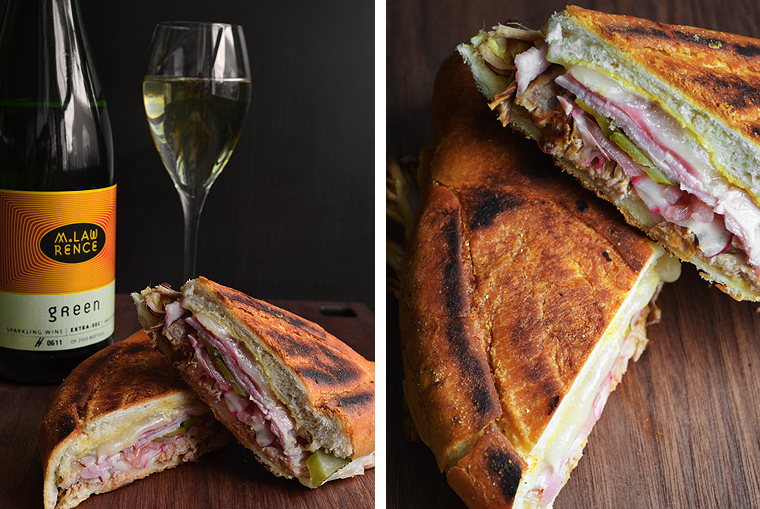 The basis of the Cuban; ham, Swiss, and mustard, remind me of the French classic croque monsieur, and set me wondering which food culture, if any, could lay claim to this classic combination of flavors. The answer, of course, is that some combinations are universal and timeless. 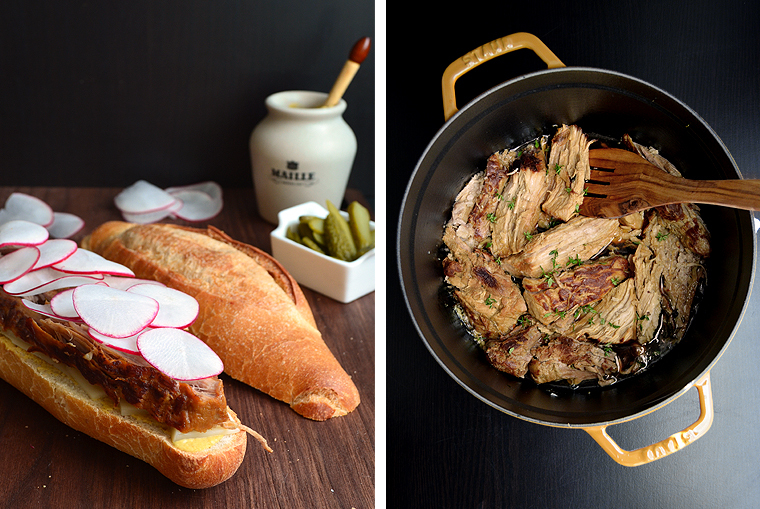 I often cook, and write about European food, and especially French food, so I was intrigued at the common thread between this delicious yet foreign (to me) Cuban sandwich and my beloved French, open-faced croque. The comparison lead me to the conclusion that a French-ified Cuban could and would be a thing, a new variation with flavors familiar to two cultures but belonging to neither. 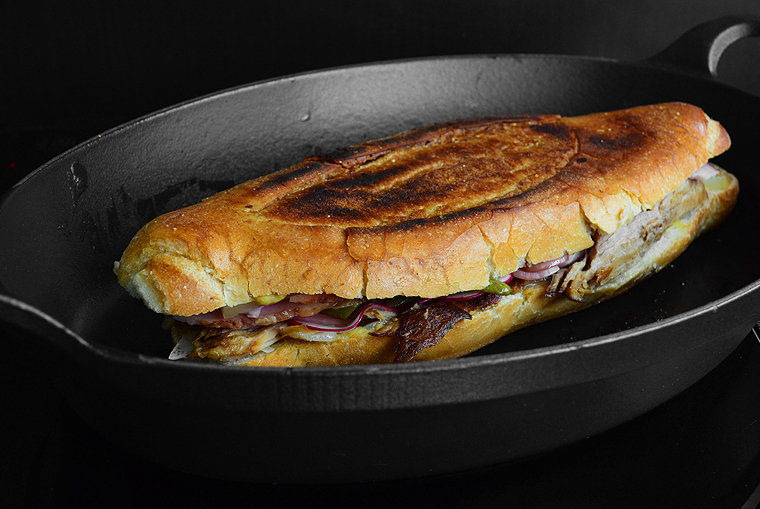 First, I sought to identify what characteristics are distinctly Cuban, which are the basic list of ingredients and a good pressing on a non-ribbed grilling surface; a true Cubano bears no grilling marks other than a crisply browned crust and dense, flattened shape. 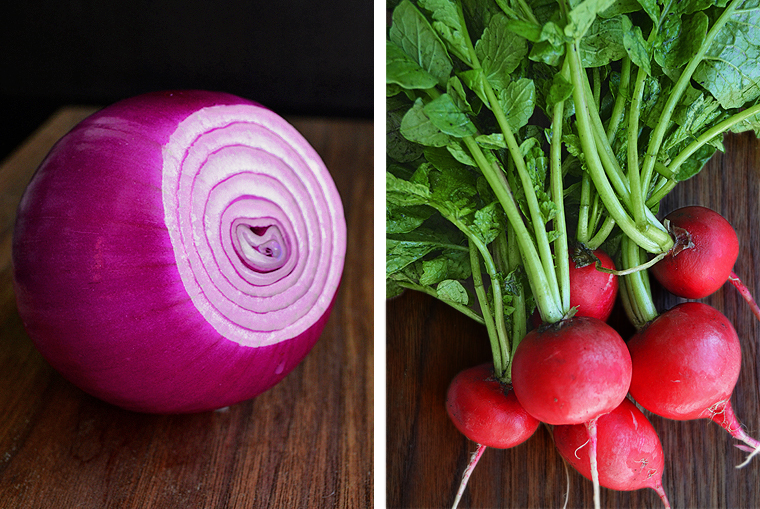 I focused on the ingredients themselves and explored substitutes; here is the story of the experiment, and where it ultimately lead. It began on a typical Tuesday night spent pressing Cubans as we sometimes do, using French bread instead of true Cuban bread, which can be difficult to come by. The ham is typically the boiled type but substituting smoked ham adds another dimension of flavor. Swiss cheese didn’t seem like an authentic Cuban ingredient, so I tried a rich, young raclette which is would add a tangy, nutty taste and creamy texture with it’s legendary melting ability, giving a thoroughly southern French/Swiss flavor. 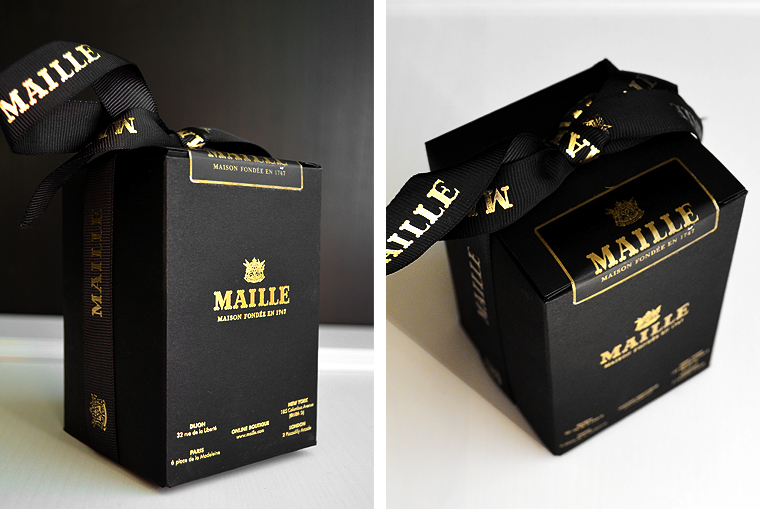 The typical plain yellow mustard was an easy target for improvement, France being the birthplace of powerfully rich mustard’s, most notably Dijon which is deeply flavored with white wine and horseradish; I chose an exquisite Dijon made with Chablis wine from Maille. 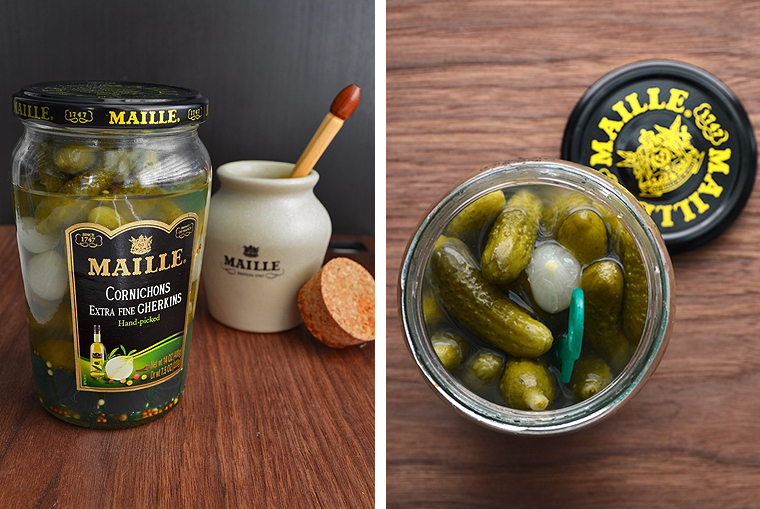 Plain dill pickles are replaced by thinly sliced cornichons, also from Maille, which though small in size, pack a lot more texture and flavor than big, floppy dill slices. 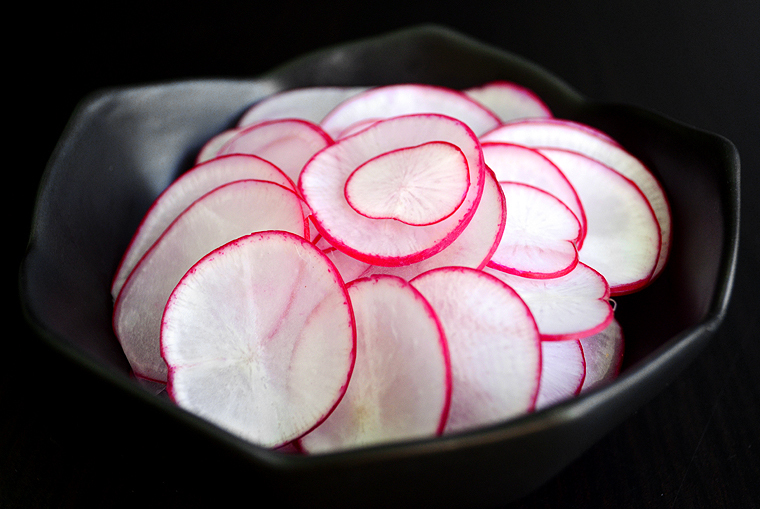 I added my own pickled red onions made with red wine vinegar and a touch of sugar and thinly sliced, fresh radish for crunchy texture and a nod to Parisian cafe style. 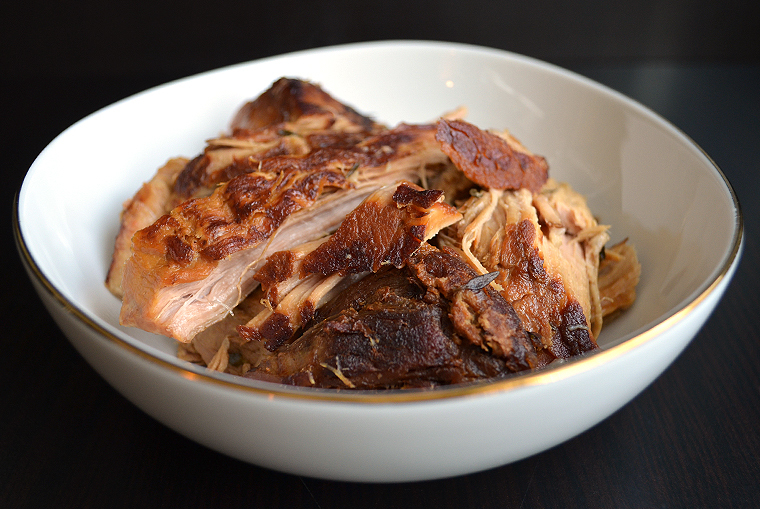 The final ingredient, the one that distinctly separates a Cuban from a plain ham and cheese, is the roast pork. Being big fans of braising pork instead of roasting, we have experimented with variations on Cuban pork braised with lime and orange halves and fresh oregano, always tasty, but I substituted a clean braised pork inspired by David Chang Momofuku house Momofuku Pork Shoulder House Recipe, which is rubbed with a 1:1 mixture of sugar and salt; I added fresh thyme, white wine, and garlic to turn it French then slowly braised it until it fell apart. 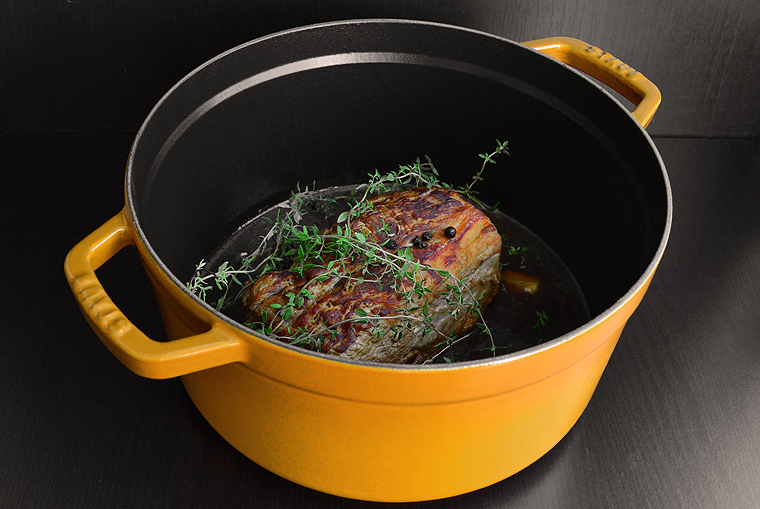 The result is meltingly tender and juicy with a clean pork flavor with hints of garlic and thyme; and though the recipe requires slow cooking over 8 hours or more, it can be made a day in advance and freezes well. 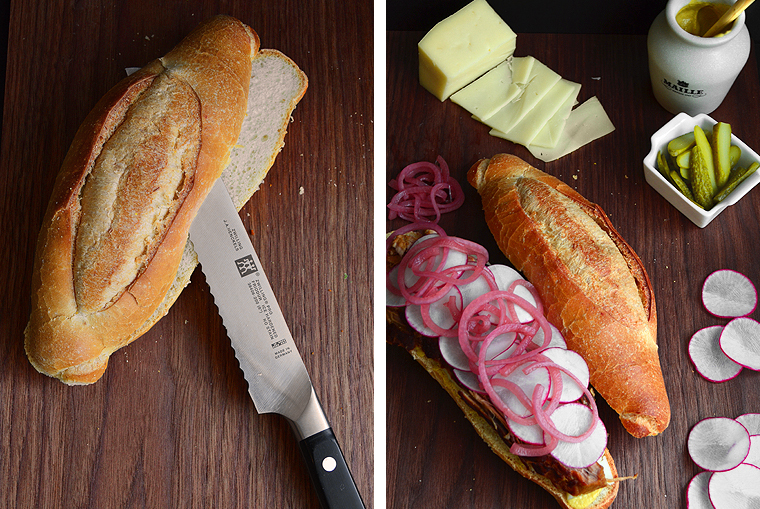 I split the French rolls, buttered the outsides and slathering each half inside with Dijon, then layered the ingredients as you would a typical Cuban, topping with cornichons, pickled onion, and radish slices. 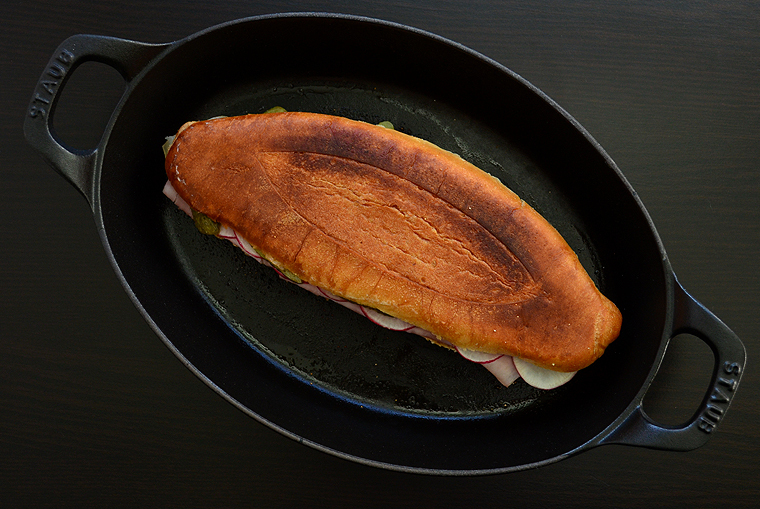 I then grilled them in a shallow, hot cast iron pan, pressing with a smaller cast iron pan to ensure a crisp crust and the characteristically dense texture and Cuban shape. The results were astounding. Cubans are often enjoyed with Cervesa with lime or a soft drink, both cold and refreshing, but I thought why not enjoy mine with wine, the most refreshing of which is a chilled glass of sparkling wine! 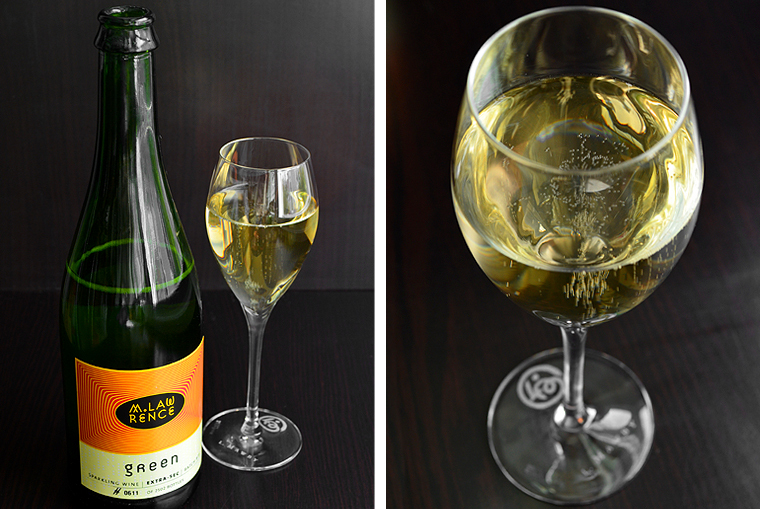 A perfectly suited sparkler from my friends at L. Mawby, Green offers a crisp acidity that compliments the mustard and pickled vegetables, while fruity apricot and citrus flavors cut through the richness cheese and pork with a clean, refreshing finish that cleanses the palate. 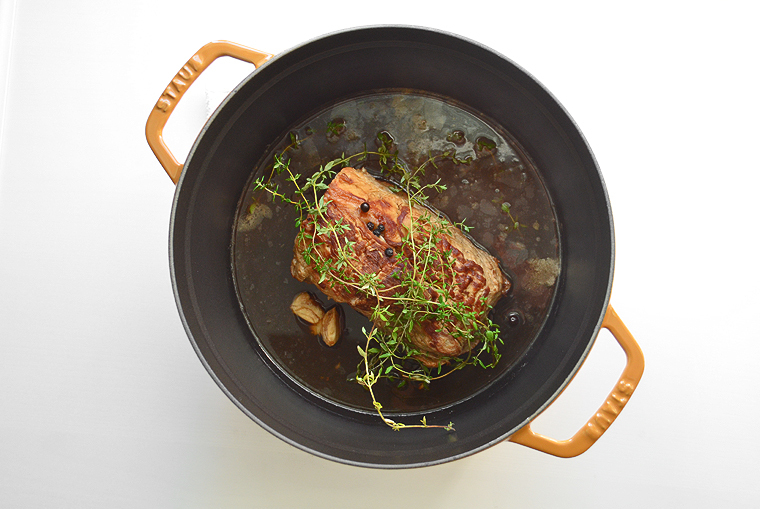 Don’t feel like braising your meat on the stove for a couple hours, no worries! Place it in your crockpot the morning of on high (4hrs) and preheat a braiser 30 mins before to sear the meat on all sides. Remember! Always let your meat rest to allow the juices to inside rather ending up with a dry piece of meat. 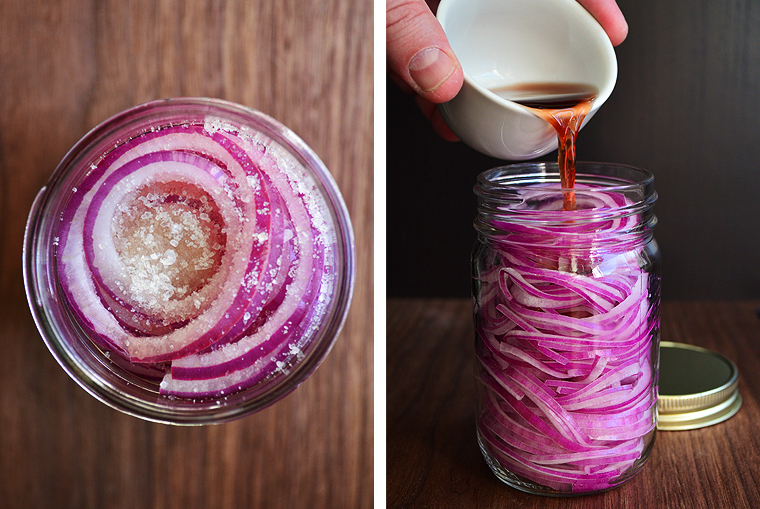 Thinly slice the red onions and place them in a 8 oz. glass jar. Add the vinegar, sugar and salt and gently shake. Place in the refrigerator for 1 hour. 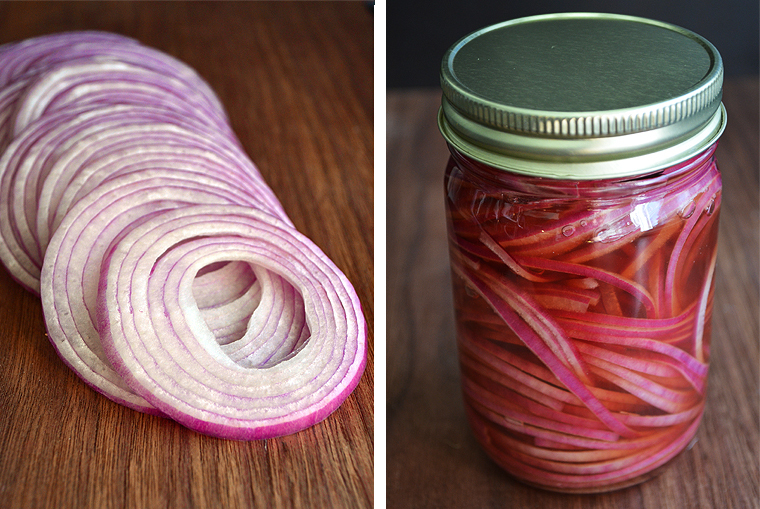 Pickled onions will last 2 weeks + when kept in the refrigerator. 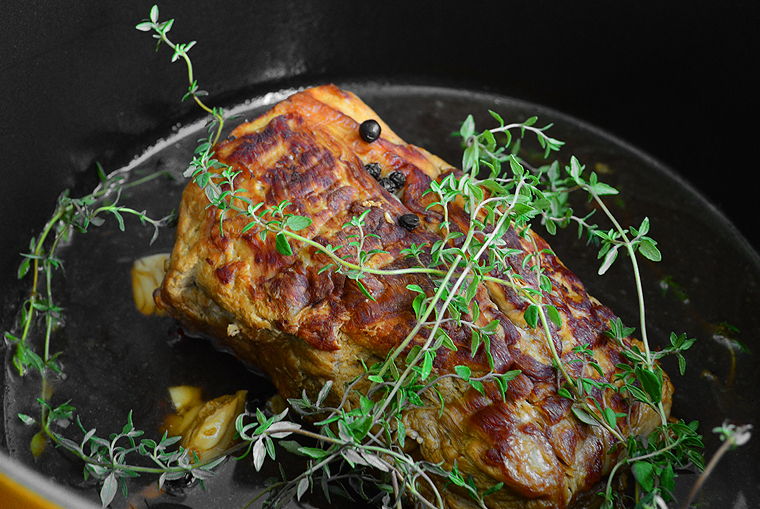 Trim excess fat from pork shoulder and season with salt, sugar, black pepper then place in large storage bag adding white wine and thyme sprigs, squeeze to remove all air before sealing then place on a plate and refrigerate at least four hours or preferably overnight. 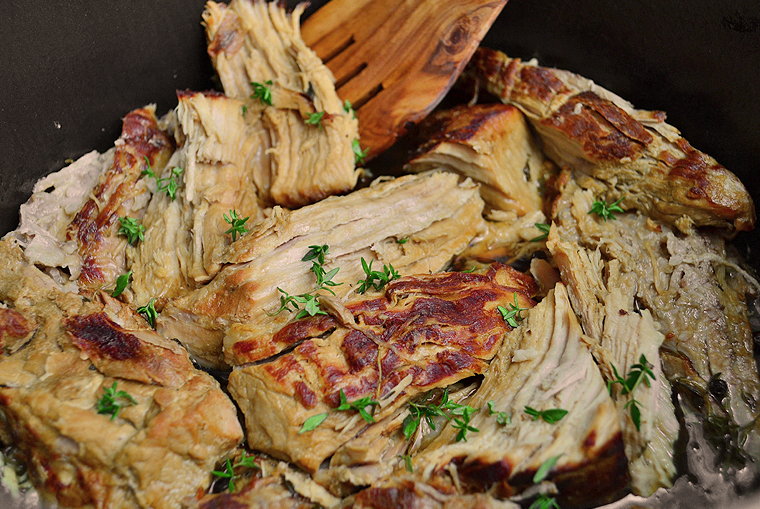 Let pork warm to room temperature before removing from bag, discarding marinade. 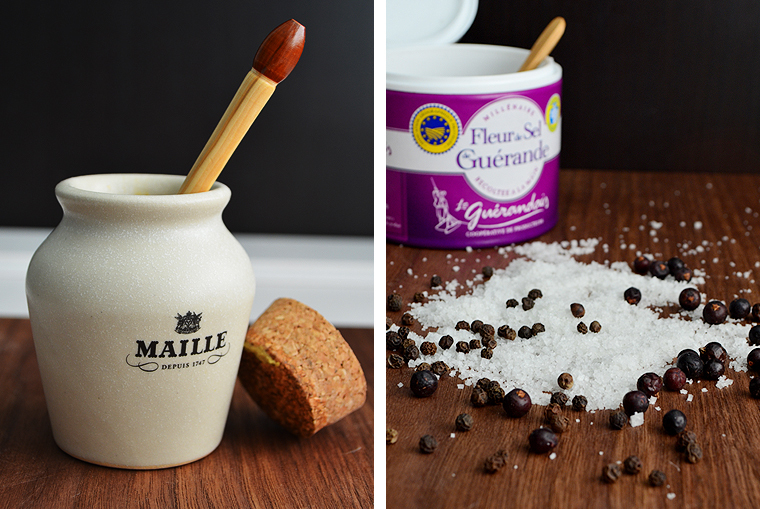 Add the black peppercorns and juniper berries and cook in an uncovered roasting pan at 250°F for 6 hours. Start basting halfway through with pan drippings every 20 minutes or so. At the end of the cooking time, remove from oven, cover with foil and allow to rest for 30 minutes, then shred with two forks. Heat a cast iron skillet on the stovetop. 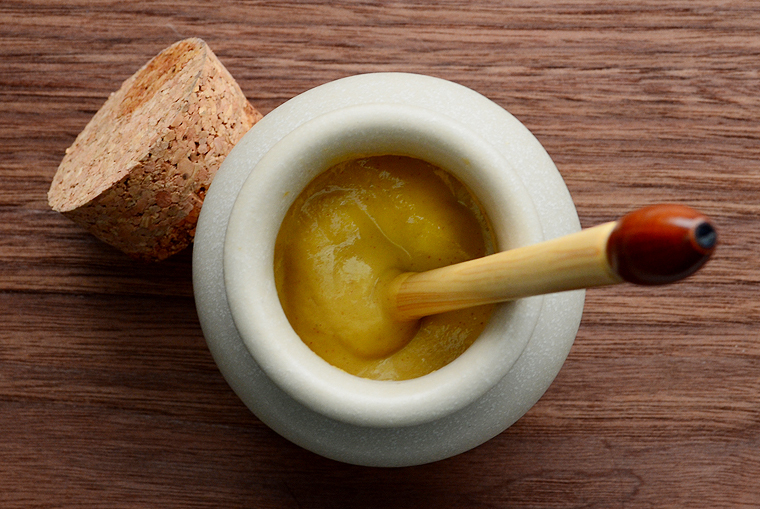 Smear mustard on both sides of the inside of the bread. Top with cheese, pork, ham, radishes, cornichons and top with more cheese. Butter each side of the outside of the pan and cook for 3-4 minutes on medium high heat (or a panini press) until the cheese is gooey. Serve immediately. This entry was posted in Recipes and tagged appetizer, artisan, baguette, braised pork shoulder, braised pork shoulder recipe, bread, cheese, cheese recipes, comfort dinner, comfort food, cuban recipe, cuban sandwich recipe, David Chang's Pork Shoulder recipe, dinner, easy recipes, fall recipes, french cuban recipe, french recipes, French Style Cuban recipe, L. Mawby sparkling wine, L.Mawby, L.Mawby Bubbles, Larry Mawby, Leelanau Cheese, Leelanau Cheese Suttons Bay, Maille, Maille Mustard, Mawby Michigan, Michigan bubbles, Michigan wine, Michigan Winemakers, Michigan wineries, Momofuku, Northern Michigan Winemakers, pickled onions recipe, Pure Michigan, raclette recipe, sandwich recipe, Sparkling wine, Staub cast iron pot, Staub dutch oven, staub france, Staub Products, Sutton's Bay Michigan, Suttons Bay Michigan Wines, Top wineries in Michigan, Top wineries in Northern Michigan, Traverse City, Traverse City Michigan. Bookmark the permalink. What a gorgeous Cubano! I was wondering what made it French and alas I see all of your influences in the preparation. Love these things. Have you seen the movie Chef? He makes cuban sandwiches (cubanos) in the movie. The best ones I’ve had were in Miami. Love this post! Thank you! I have seen Chef and it’s one of my favorite movies. Unfortunately, I haven’t made it to Miami yet but hopefully soon. Let me know if you try the recipe!